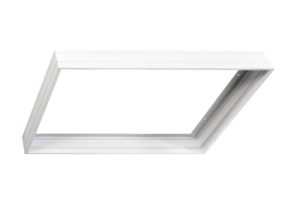 Aluminium frame allowing surface mounting SOLO SLIM luminaires. Standard: aluminium profile powder coated – white colour. Options: Other frame colour and dimensions.